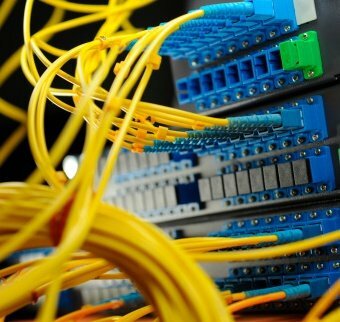 The team we have has very vast experience of designing, commissioning and maintaining data networks including Local Area Networks, Wireless LAN & Wide Area Networks, security of the network and performance optimization, along with a view to provide the best to our customers/partners for what they spent for their network infrastructure. It is also a fact that in today‘s era of ICT, businesses entirely depends on network infrastructure, so the availability of network resources is our primary concern. We offer our time-tested skills for network infrastructure designing, implementation, maintenance, security, performance tuning and troubleshooting with the best cost verses benefits analyses approach. To complement our expertise and skill, we use Test Equipment of Fluke Networks (Like OptiView Series III Network Analyzer, LinkRunner and EtherScope). Our team has designed Information System infrastructure for different corporate clients using Microsoft Active Directory Services and Linux Operating Systems. We also have a habit of testing all scenarios in our labs before implementing any solution to any particular customer. As the businesses are become more and more dependent on network Operating systems, the major ingredients of our design philosophy are maximum availability, performance, reliability and scalability keeping in mind the least Time-between-Failure, Time-to-Recover and cost.